Hi folks. I have been asked by a local to me person to test the waters for the sale of a nice set of vintage AR-1s. I have not seen them in person but curiously they are within 2 miles of my home. 9051 and 8928 serials and appear to be Walnut. She inherited them and is currently using them as speaker stands of all things. I have been back and forth email with her and my sense is she is more interested in finding someone to enjoy them as opposed to auction site sale to get a hopeful stupid sale price. She has done a bit of research and realizes that these can sell for $3K a pair, if equipped with 755A drivers, but doesn't sound like she wants to deal with the associated hassles of the bay. Here is a pic to get a sense of these specimens. She also has a box of caps from the same inheritance, would anyone venture a guess if these would be worthy of pursuing as well? My sense of all this is she will let them go for a reasonable price, let me know if there is any interest and I can put you in touch with Cathy. hello folks, the owner has decided to sit on these for now, thanx for the private messages from those that expressed interest and if things change I will reach out and refresh this thread. Interests:Vintage audio, records, jazz, pre war blues/country. Has she at least hooked them up to see how the sound? Man, they are gorgeous. Looks more like mahogany to me. so four months later and I am actually going to see these in person today, at least tentatively that is the plan. A number of things need to line up for me but I am quite confident that it will happen. Of course I will take some pics and will follow up here. My vision is to have a sequential group of ARs, at least from 1 - 5.
so yes I did get a closer look at these and they are wonderful. Pots are rough as you would expect but no evidence of ever being opened! Also I am just not sure where this will all go. 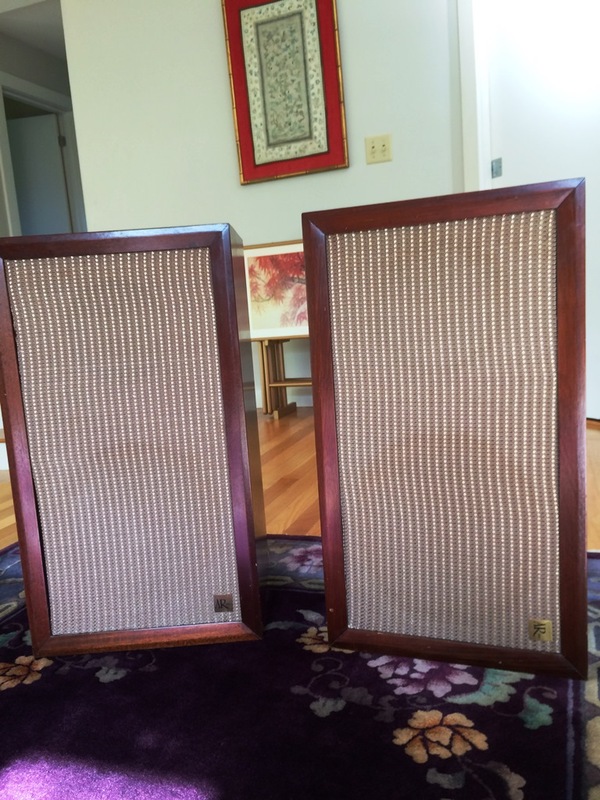 While the current owners understand these are holy grail kind of stuff, they are not using them as anything but speaker stands for a small set of NADs. We have not really done any negotiating but they understand I am an AR enthusiast. My sense of this is they hold more sentimental value than monetary. While there the husband also referenced an old AR turntable in the basement that he has envisioned resurrecting but he lost his hearing and with that has lost interest in audio related things. 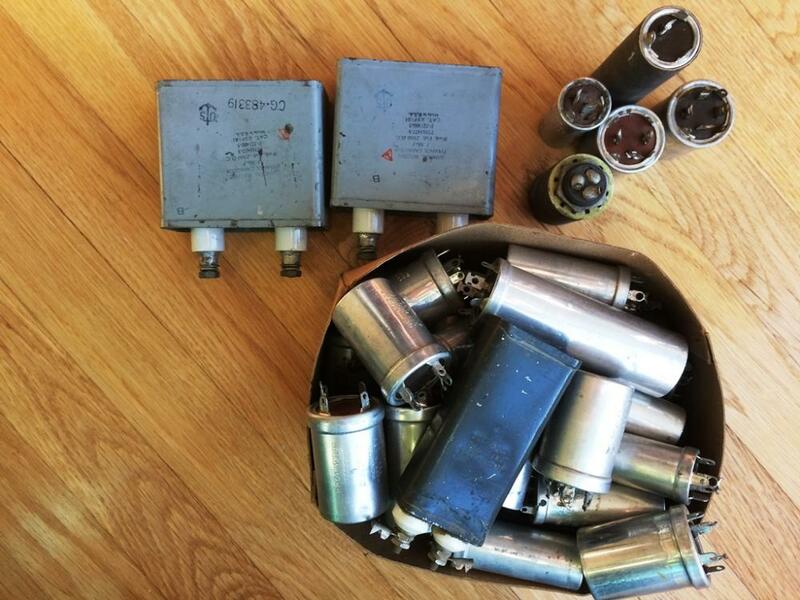 They have boxes and boxes of old tubes and caps from the past (also part of the inheritance booty) as the Uncle was a tube radio guy as well. I will keep this updated as things unfold, if they do. I love this old grille material. Did you buy the AR1s for your collection?